Dietrich gave the rest of the lecture to an almost empty room. 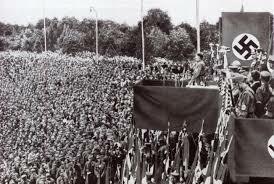 His demand that the church must be prepared for political resistance had flabbergasted most of his audience. With this attitude, Dietrich remained alone in his church. The only ones who would have agreed with him, the Religious Socialists, were themselves already among the persecuted (69). …most the people sitting there were certainly not encouraged by the way in which the state was exercising its office. But they were good Lutherans, and so Dietrich first moved on tiptoe through the theme of church and state. The church has no right to appropriate to itself power over the state. But it may not keep out of politics if the state abrogates basic human rights (68-69). A state which includes within itself a terrorised church has lost its most faithful servant. But even this third action of the church, which on occasion leads to conflict with the existing state, is only the paradoxical expression of its ultimate recognition of the state; indeed, the church itself knows itself to be called to protect the state qua state from itself and to preserve it. Bonhoeffer delivered this essay in 1933, soon after Hitler took power. By the time the third course of action was a viable option, there was no “Evangelical Council” strong enough to make the decision to jam the wheel. Bonhoeffer decided to try to place a spoke in the wheel. Dietrich Bonhoeffer: When is Direct Political Action Needed? The third possibility is not just to bandage the victims under the wheel, but to put a spoke in the wheel itself. Such action would be direct political action, and is only possible and desirable when the church sees the state fail in its function of creating law and order, i.e. when it sees the state unrestrainedly bring too much or too little law and order. In both cases it must see the existence of the state, and with its own existence, threatened. There would be too little law if any group of subjects were deprived of their rights, too much where the state intervened in the character of the church and its proclamation, e.g. in the forced exclusion of baptised Jews from our congregations or in the prohibition of our mission to the Jews (No Rusty Swords, 225). Buy 12 or more for $47.49 each. Such ready capitulation makes the views of Dietrich Bonhoeffer, a young Lutheran theologian in Hitler’s Germany, all the more remarkable. Within days of the new law’s promulgation, the 27-year-old pastor published an essay titled “The Church and the Jewish Question,” in which he challenged the legitimacy of a regime that contravened the tenets of Christianity. The churches of Germany, he wrote, shared “an unconditional obligation” to help the victims of an unjust state “even if they [the victims] do not belong to the Christian community.” He went further: Christians might be called upon not only to “bandage the victims under the wheel” of oppression but “to put a spoke in the wheel itself.” Before the decade was out, Bonhoeffer would join a conspiracy to assassinate Hitler and pay for such action with his life. 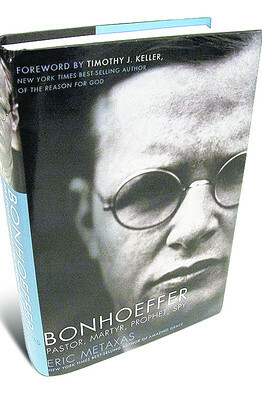 In “Bonhoeffer: Pastor, Martyr, Prophet, Spy,” Eric Metaxas tells Bonhoeffer’s story with passion and theological sophistication, often challenging revisionist accounts that make Bonhoeffer out to be a “humanist” or ethicist for whom religious doctrine was easily disposable. In “Bonhoeffer” we meet a complex, provocative figure: an orthodox Christian who, at a grave historical moment, rejected what he called “cheap grace”—belief without bold and sacrificial action. 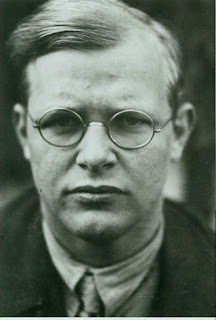 After a failed assassination attempt on Hitler in 1943, Bonhoeffer was arrested on charges of assisting Jews and subverting Nazi policies. 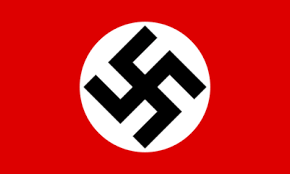 Two years later, in early April 1945—after his full involvement in the conspiracy became known—he was executed at the Flossenburg concentration camp in Bavaria. By all accounts he faced with courage and serenity the ultimate consequence of his choices. His was a radical obedience to God, a frame of mind widely viewed today with fear and loathing, even among the faithful. In “Bonhoeffer,” Mr. Metaxas reminds us that there are forms of religion—respectable, domesticated, timid—that may end up doing the devil’s work for him. The Third Possible Way the Church Can Respond to the State According to Dietrich Bonhoeffer: Jam the Wheel! The third possibility is not just to bandage the victims under the wheel, but to put a spoke in the wheel itself (No Rusty Swords, 225).